Free skin? Sign me up. Quick! Grab some free stuff for both Xbox 360 and Xbox One versions of Minecraft!! 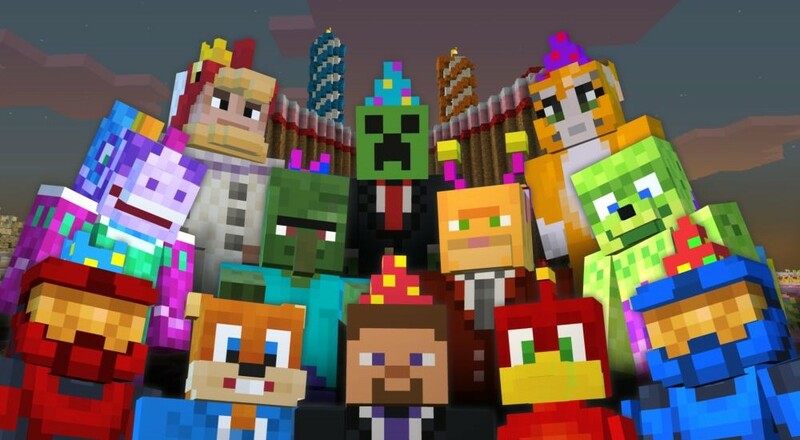 Mojang has released three new skin packs to celebrate its third year on Microsoft's consoles. Best of all, anyone who owns the game can get all three skins for free... for a limited time! From now until May 17th, just hop onto the Xbox store and download away. Technically, only one of the skin packs is new, the one that features blocky versions of Mojang employees. The other two feature various Microsoft characters like Conker, Banjo, Kazooie, and Master Chief and were previously available for Xbox 360 owners of Minecraft. Now they're available for Xbox One, too, so everyone can join the party. Go on, get some skin for your Minecraft world. All three are free for Xbox owners until May 17th. Page created in 0.4355 seconds.